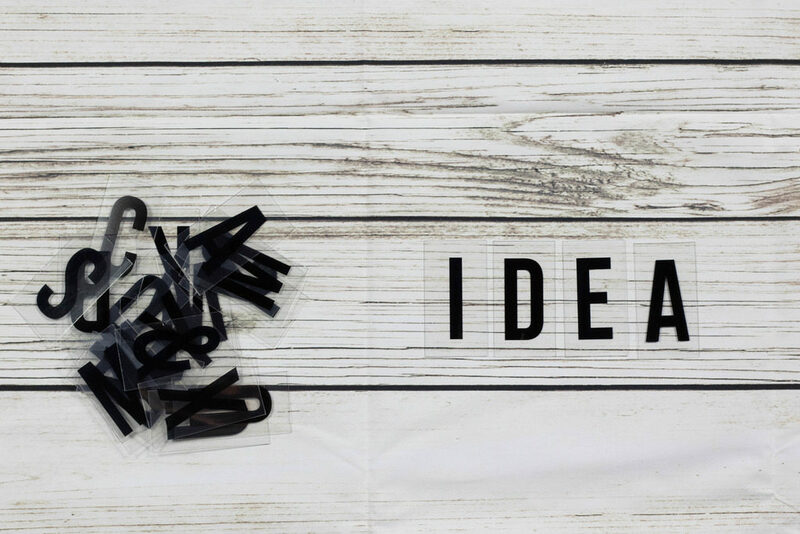 5 new business ideas I’ve been considering – what do you think? Like many of you, this is the time of year when I start planning for the year ahead. Part of that involved thinking about new ideas. New ideas for how I can drum up new business. New ideas for how I can be an active member of our local digital/comms community. And new ideas for how I can drive more awareness for my name and what I offer. And, in some cases, rethinking exactly WHAT I offer. It’s a ton of fun. Planning and brainstorming are, without question, two of the things I love most about my job. So, I started thinking about ideas that hit on all those criteria above. How could I best use my time, in 2019, to be a better member of our local community, drive awareness for my business and drum up new business in the process. At the same time, I also am taking some advice I got at the recent MIMA Summit to hear: Share your ideas. The concept? Share your ideas widely for feedback, input and reach. You never know where it might take you! So, today, I’m sharing ideas! Below are five ideas I’ve been kicking around. I’d love to hear your feedback and if you’d have interest in working with someone like me on one or more of these ideas. 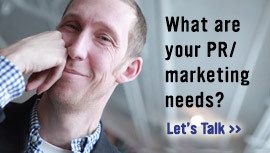 Almost nine years ago, a friend came to me with an urgent need: Could you keep me and my team ahead of the curve when it comes to social media marketing? Remember, this was nine years ago. Social was just breaking out. Companies were still figuring things out. And, this particular friend was getting questions from all sorts of colleagues and executives internally. She had to get some answers! Digital Data and Statistics – This section included the latest reports and studies from all sorts of vendors and media outlets and how that data related to my client. Social Media Trends – This section talked about the obvious–the latest trends in the social and digital media marketing worlds. New Tools & Technologies – This section shared information on the newest tools and enhancements to social media platforms–and, as we all know, there’s no shortage of information to keep up on here. Case Studies – This section shared case studies relevant to my client in the social media marketing world. The report, in total was about 20-25 pages long. The client loved it. In fact, at the end of our contract, she was sharing it with the executive team–including the CEO (keep in mind, this was a Fortune 500 client)! Needless to say, that report was a huge success. But, sadly, I never really did anything with it afterward. So I’ve been thinking about re-introducing a new version of this tool–The Talking Points Trend Report. This report will be a little “lighter” than the version I developed for my client–most likely around 10-15 pages. But, it will include the same buckets of items: Data/Stats, Trends, New tools/enhancements, and Case studies. For anyone working in social media marketing, it should be immensely helpful because it will distill a month’s worth of reading into 10-15 easy-to-read pages. And, it will be a tool you can share broadly with your team. The number-one reason most people ask me to grab coffee centers around one basic question: I need to find a new job and I’d love your help! Even the people I meet with that don’t initially ask me about this eventually get around to it. Clearly, there is a big need for this kind of coaching specific to our industry (PR, comms, social). I know there are a ton of career coaches out there, but I don’t know too many that focus on JUST PR, comms and social (focus, after all, is critical to the job hunt).. So, I got to thinking: Maybe I could help here. Maybe I could position myself as career coach of sorts. Offering to help people with job search strategies, connections and advice on how to best manager their careers in PR, comms and social. I’m not a professional, obviously, but I have essentially been helping people with this very thing for the last nine years now. I’m not entirely sure how I’d structure it just yet–maybe some kind of smaller monthly subscription. But, I do think there’s something here. And, I truly enjoy helping people in this area. I’ve been asked about this exact service three times in the last three months. That can’t be a coincidence. Companies will have these gaps even more in the future, as there are now more social media managers than there were just 3-4 years ago. And, people go out on maternity/paternity leave all the time–especially as that benefit grows in length of time! This is definitely a gap I can help fill. In fact, I’ve done it before with my friends at Sleep Number (years ago)! Need someone with 20+ years of experience to step in and lead your social media efforts while you find a replacement for this role? I could step in with minimal training or guidance. Need someone to fill in for your social media director while she goes on maternity leave for three months? I can fill that role easily, helping direct traffic and strategize while she’s out. This one seems like a no-brainer–I just need to figure out how to package it and “sell” it. 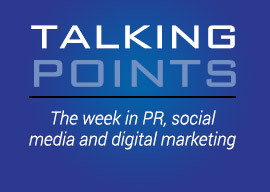 I’ve been publishing the Talking Points e-newsletter now for more than five years. What started as a total experiment has evolved into one of my most effective content marketing tactics! Open rates hover around 30 percent with click-thru rates in the teens. 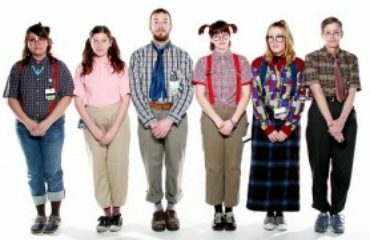 So, I’ve been thinking: Maybe I could give companies the opportunity to sponsor job posts here? With each e-newsletter, I routinely aggregate 8-10 jobs in each issue. What if I gave companies the chance to feature their open position right at the top of that list with a bit more context/info? Would that have value? Would companies be interested in something like that? Kevin Hunt, my Talking Points Podcast partner, and I have discussed this at length for the last year. Our perspective: We’re not looking to make money with the podcast. Truly, we just do it as a chance to get together each month, talk shop and shine the spotlight on other great people in the community. But, we also have costs: Hosting, equipment and other ad-hoc items that come up. So, we’ve been thinking about approaching sponsors. As a sponsor, we’d include mentions of the company/organization within the podcast. We’d also be open to the company suggesting people for us to interview for the show, since we’re always looking for interesting people to feature. Our podcast isn’t huge–we’re not an NPR podcast. But we’re consistent. We’ve been at this for 3 years now and we’ve recorded 100 shows (actually, our 100th show will be recorded next Tuesday!). This wouldn’t be a big-ticket sponsorship–probably in the $500-1,000 per year. We’ve approached a couple organizations so far, and they have been interested (but nothing finalized yet). I wonder if we would attract more suitors if we opened it up to a broader audience of potential sponsors. So, those are my big five ideas I’ve been kicking around. What do you think? I’d love to hear from YOU! Take this quick 1-minute survey or, send me a note at arik@arikhanson.com if you are interested in one or more of the items above.